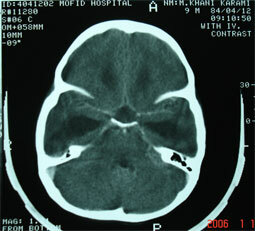 The patient is a 9-year old boy, native of and resident in Parsabad Moghan who was hospitalized in this Center on June 24,2005 due to dizziness, feebleness and vomiting. 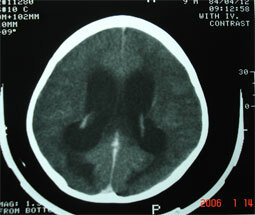 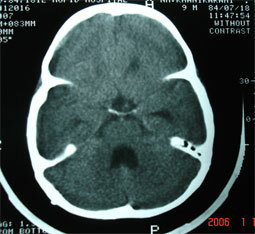 Considering the history of Malta fever in the mother and consumption of locally-produced dairy and due to the endemic nature of this disease in Ardebil Province and as the patient's general status did not improve and his lethargy and lack of appetite continued (since April 2005), Wright- Coombs Wright test was requested with the suspicion of neuro-brucellosis. 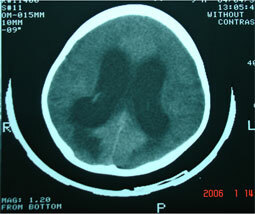 With this same diagnosis, the Patient was put to a treatment with Doxycycline + Cotrimoxazole and Rifamine. 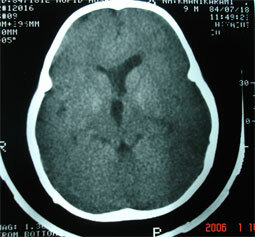 15 days after the beginning of therapy, the patient was re-hospitalized due to recurrent vomiting and his drugs changed to Cotrimoxazole + Ciprofloxacine and Rifamine. 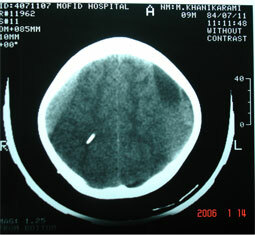 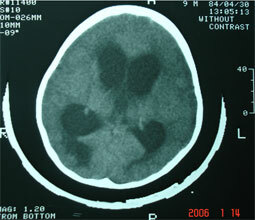 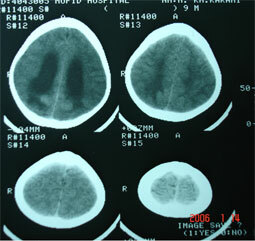 Due to sever hydrocephaly and extensive subdural hygroma on the left part and acute extraaxial hemorrhage in frontoparietal region, the Patient became candidate of placing shunt.